Olympic Plaza is the site of the 1988 Winter Olympic Games medals presentation and comes complete with a wading pool, which becomes a skating rink in the winter months. 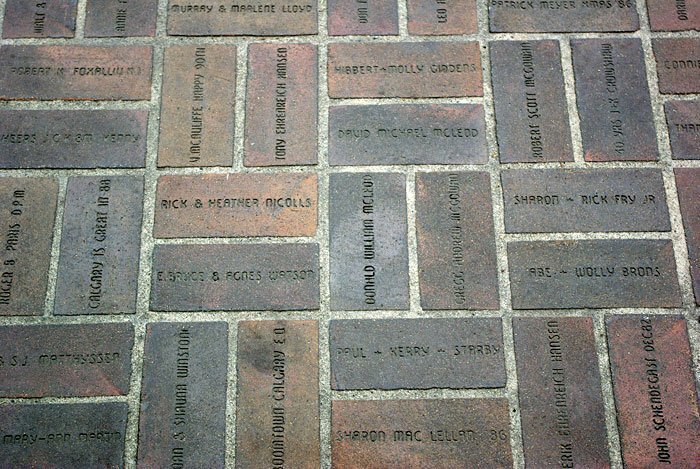 Olympic bricks, sold to the public to commemorate the 1988 Winter Olympics. Maps of individual brick locations are available at the Information Kiosk in City Hall.